He once jokingly suggested people should ‘invent time travel’ if they wanted to address questions or complaints to his ‘younger self. That was typical of the man who felt it was possible. 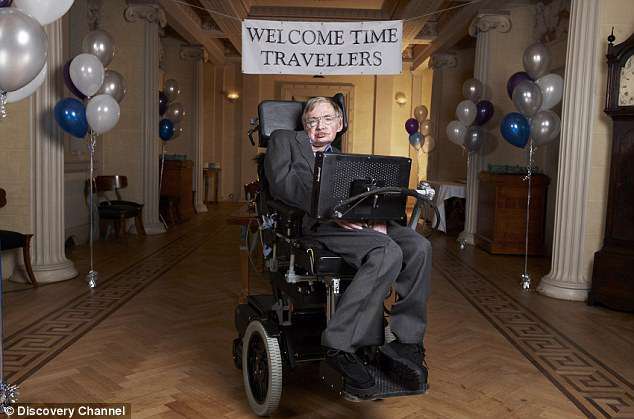 So it is hardly surprising that time travellers might well attend Prof Stephen Hawking’s memorial service. Members of the public have been invited to apply for tickets to attend a celebration of the extraordinary man’s life at a memorial service in Westminster Abbey on June 15, where his ashes will be interred alongside the graves of Isaac Newton and Charles Darwin. The world’s most recognisable scientist died in March aged 76, after a lifetime spent probing the origins of the universe, the mysteries of black holes and the nature of time itself. A public ballot offering tickets for the service to the public opened on May 9, run by the Stephen Hawking Foundation. Up to 1,000 places are available at the Service of Thanksgiving, although entering your details does not guarantee you a place. However, London travel blogger IanVisits has noted that it seems ‘perfect that the memorial service allows people born in the future to attend the service’. When those going onto the online memorial service ballot click on the date of birth section, a pop-up box allows people to put in dates from 2019 to 2038. The world’s most recognisable scientist died in March aged 76, after a lifetime spent probing the origins of the universe, the mysteries of black holes and the nature of time itself Sarah Bridle, a professor of Astrophysics at the University of Manchester, told BBC Radio that Hawking had remained curious about the potential for time travel, even after his party in 2009. ‘He was curious and he had a great sense of humour,’ she said. ‘He said he combined his two favourite things – experiments and champagne – to put on this party.’ so full of life, love and energy’. Commenting on having an ‘extraordinary’ time working in the field of cosmology, he said he was happy to have made a contribution ‘to our understanding of black holes and the origin of the universe’. His ashes will be interred at noon on Friday, June 15 at Westminster Abbey.